As the old saying goes, “the devil is in the details.” Same as the edge type means to challenge coins. Edge is often giving your coins a unique look. Challenge coins are always given as an award or recognition to those that have contributed and demonstrated excellence in their performance for their teams, groups and organizations. When you need to customize your coin, you can go into our custom challenge coins system to get your quote. 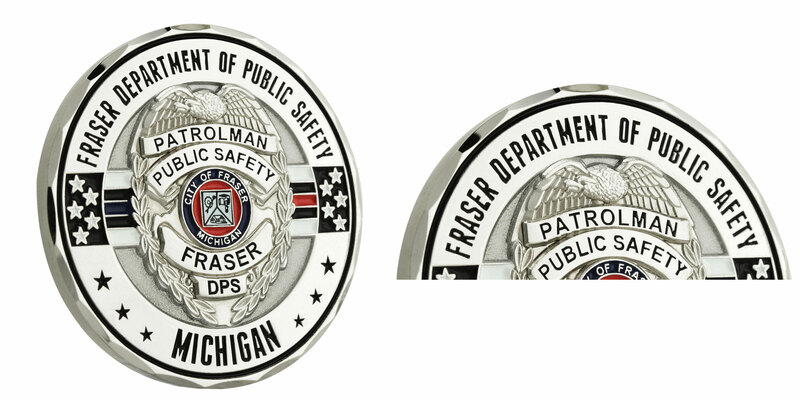 As a professional challenge coin maker, we offer a variety of edges options, which help make your custom challenge coin more unique. The edge is an important detail of coin and should harmonize with the graphic and meaning. 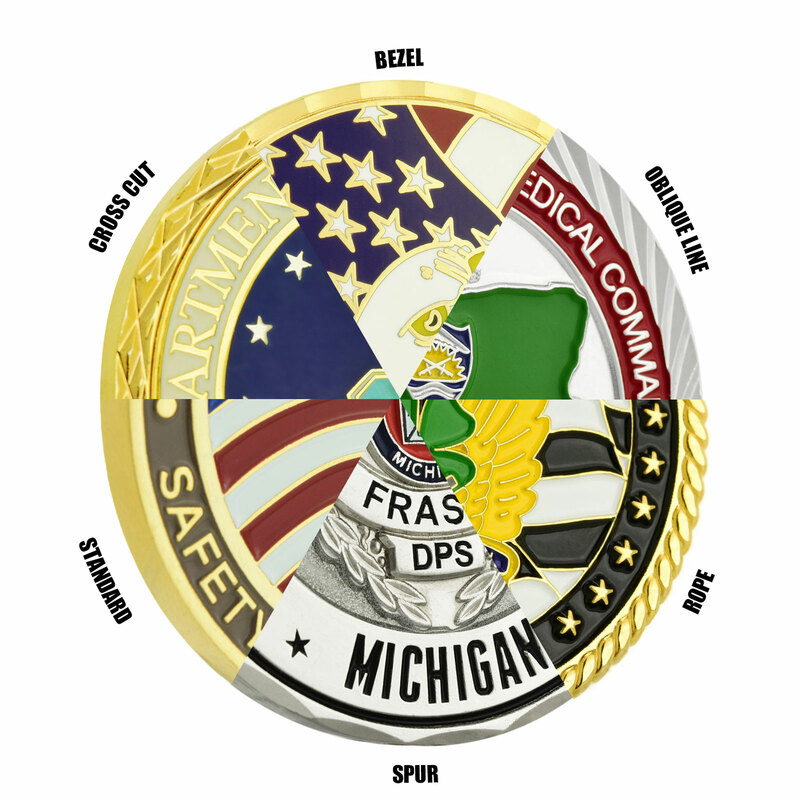 When we observe a pile of challenge coins at its edge, we can see mainly the below 6 different kinds of edges they feature. This is a common and standard edge option. It’s also called flat edge without any special craft on all edge parts. The flat edge is a smooth and just like shiny line around the circumference of your custom challenge coin. If you like simplicity in life, then standard flat edge is right choice. 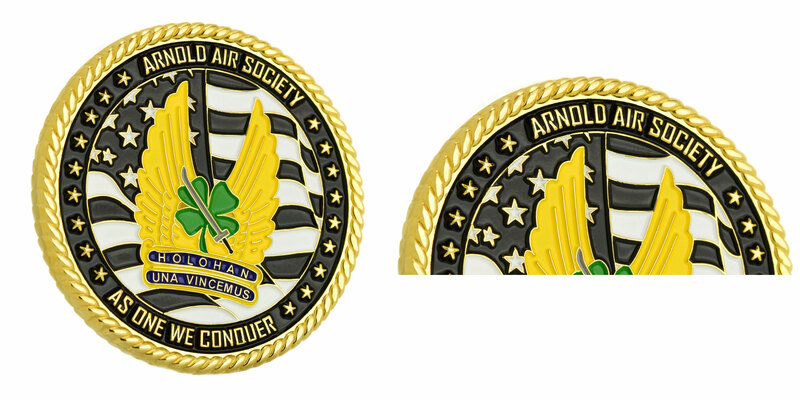 You can choose this simple and elegant edge, and have no extra fee for you challenge coins. Rope edge, just as the word, resembles the angular lines in a rope, and expresses a “braided” effect to us. Make your custom challenge coin with a masterpiece design. A length of thick strong cord made by twisting together to form a rope, that’s where the power come from. You may know the US Navy challenge coins are often chosen rope edge which reflects the nautical theme, and which also means a feeling for their members when they hold these token coins. It will be a great choice if you want to present team spirit, power and united group. From the appearance, the craft of cross cut edges same like diamond cut, which consist of a series of cuts intersecting one another to form diamond shapes, make it shiny from every aspect. 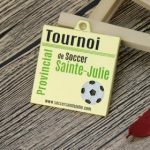 Cross cut edge makes your inner image and text on coin more impressive and stand out, because it features diamond shaped patterns, with more attractive effect around your custom made coins. 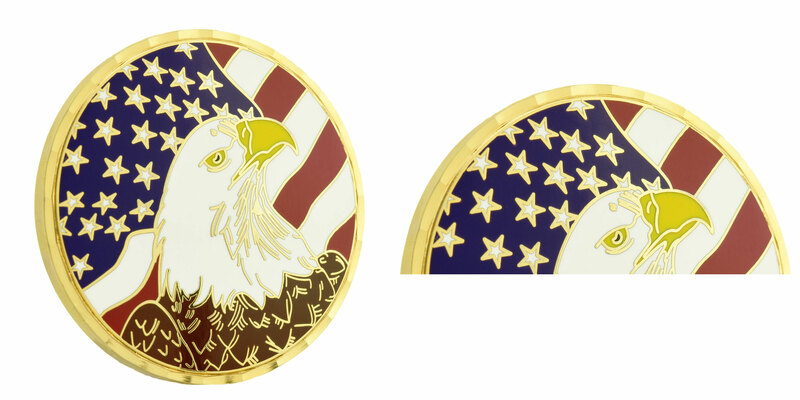 This challenge coin edge makes all the edges with bright shine, a bling bling coin will be under light. Because all cuts reflect the most light off on the surface. And cross cut edge almost always have a gold appearance, you can choose this diamond cut edge if you want to create challenge coin with gold polishing finish. If you want to make your challenge coins really stand out, add cross cut edges. Click here to go into our custom challenge coins system to get your quote. By the way, an additional fee applies to a cross cut edge as well. A spur edge consists of raised metal that curves, extends and comes to a point creating half-circle shaped recessed areas around the challenge coin. This edge can make your item more unique, like a star-burst, but only chosen by a few clients. 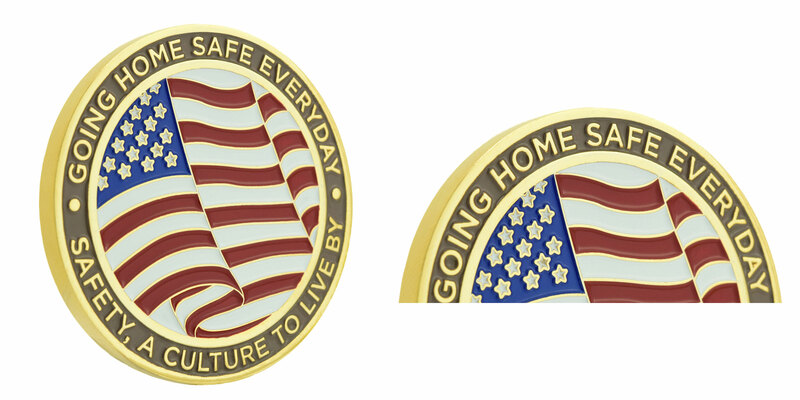 As you decide 3D effect on your challenge coin surface, our spur edge will be more suitable. Same craft match the challenge coin’s style. An additional fee will be added for spur edge. The oblique line edge, as seen on the back of coin, is made of many swirled lines around the boarder of challenge coin. All lines on edges are brightly polished and almost form a circular motion as unique appearance around the text and image on boarder. Oblique edges are the most common edge upgrade for custom challenge coins we make. This type of edge is available at an additional cost, one sided or two-sided. 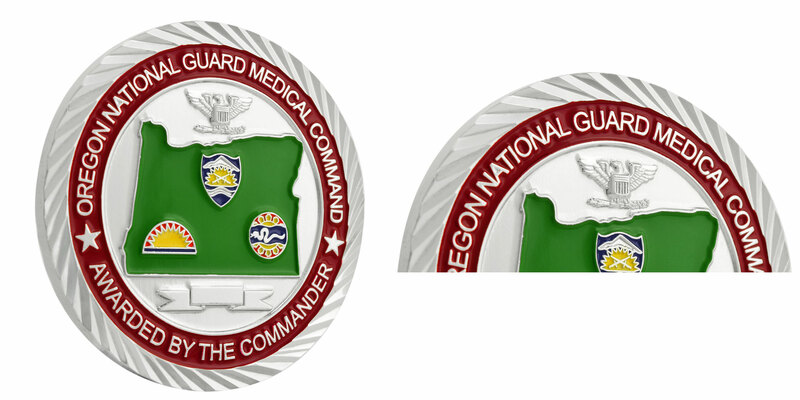 It’s also a very popular edge option for the custom challenge coins. 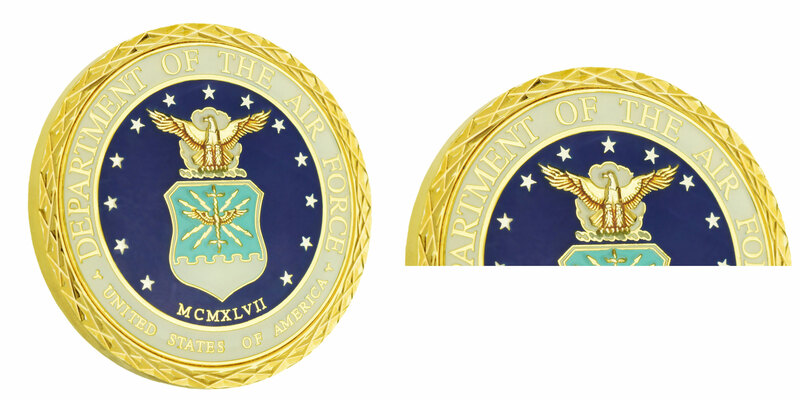 The bezel edge is made of many flat waves, from low to high points along the edge of the challenge coin. Each point reflects the light differently giving a very classic look on the edge. More god plating coins will be made with bezel edge. Giving-away a challenge coin with bezel edge that looks as attractive as the ones we create. The bezel edge is available at an additional cost, one sided or two-sided. A decorative edge gives a wonderful appearance that the coin is highly defined and fabulous, or impressive at first sight. What’s more, you can try to use more than one edge option on you challenge coins if you like. Pricing for edge options will range from no charge edges to 0.6 cents per coin for both sides, or 0.3 cents for one side. If you have any problem about choosing edge option, directly contact our talented sales, they will gladly to give you more professional advice. Should you have any further questions or difficulties, kindly contact us at info@gs-jj.com. 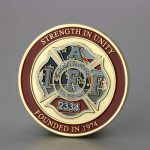 ← Firefighter Challenge Coins for the International FF Day! gbjmvougoql,Hi there, just wanted to say, I liked this article. It was helpful. Keep on posting!